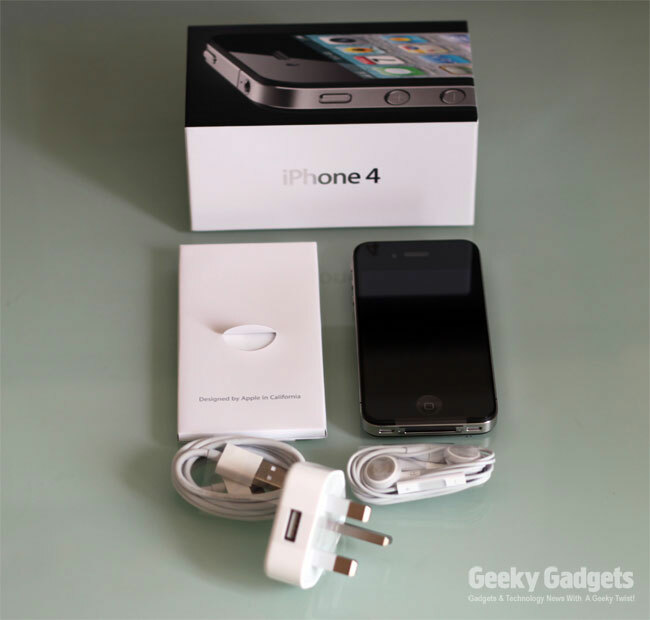 Our iPhone 4 has just turned up at the Geeky Gadgets office, so we decided to take some photos of it being unboxed, I think this is the first unboxing post we have ever done here at Geeky Gadgets. 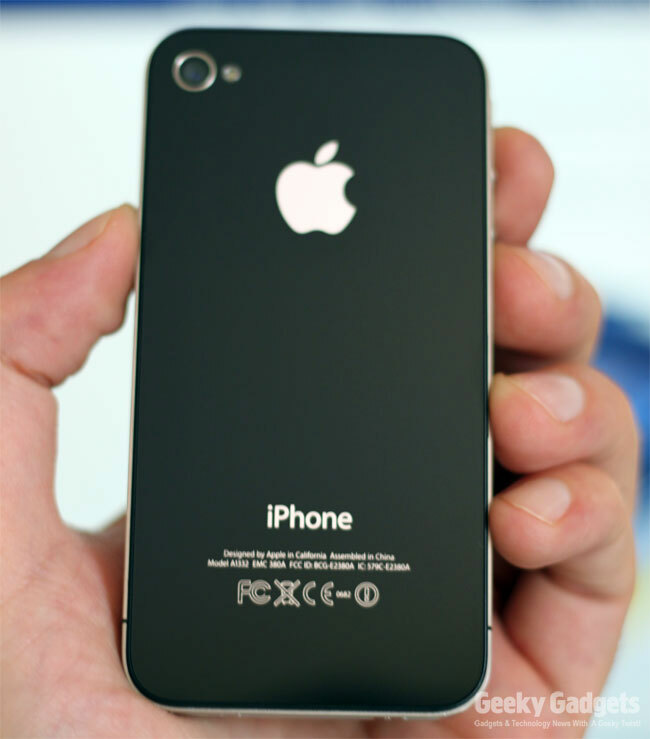 As you can see from the photos the iPhone 4 features a new design, it is much slimmer than the iPhone 3GS, and the design is less rounded, there is also a new aluminum body design, and a new screen, which looks pretty impressive so far. 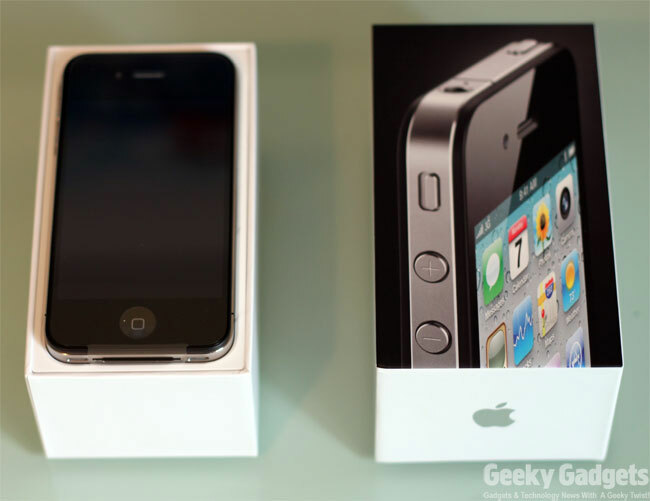 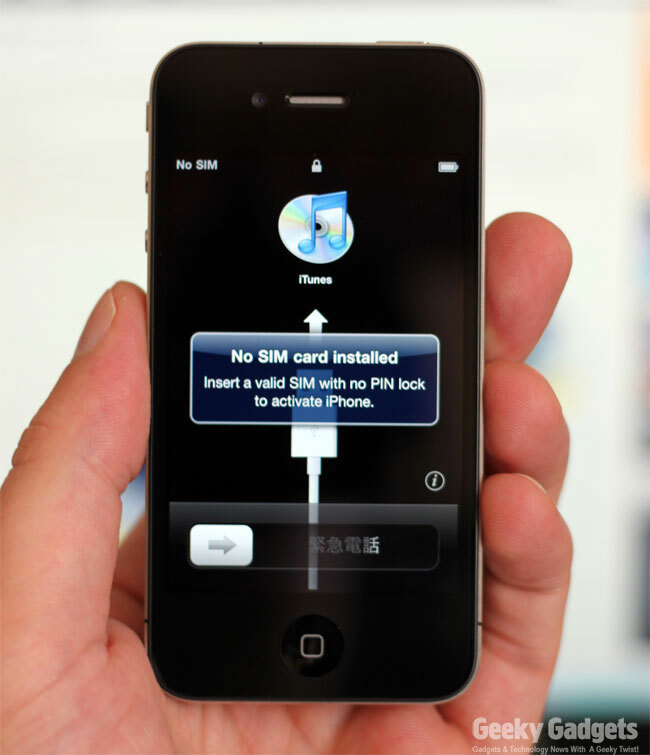 As soon as we have our new iPhone 4 hooked up to iTunes and activated we will be posting some more information, including our initial impressions on the iPhone 4 and iOS 4.Make sure you have a look at our article on the difference between the iPhone 4 and iPhone 4S.